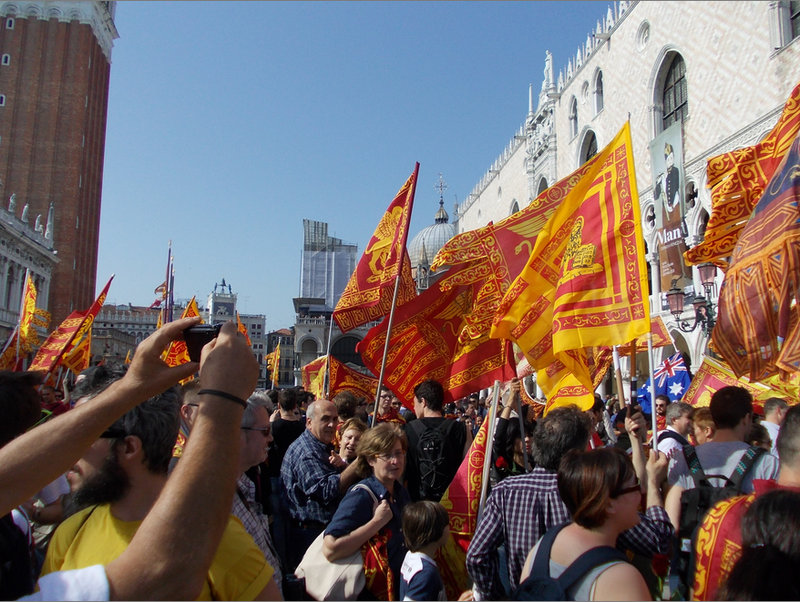 While Venetian independence was sparked on November 28, 2012, when Veneto’s regional government passed the Resolution 44 which pledged to exert self-determination through a popular vote on secession from Italy, the referendum committee Plebiscito.eu took it a step further including the election of delegates with the mandate of making the referendum result executive. 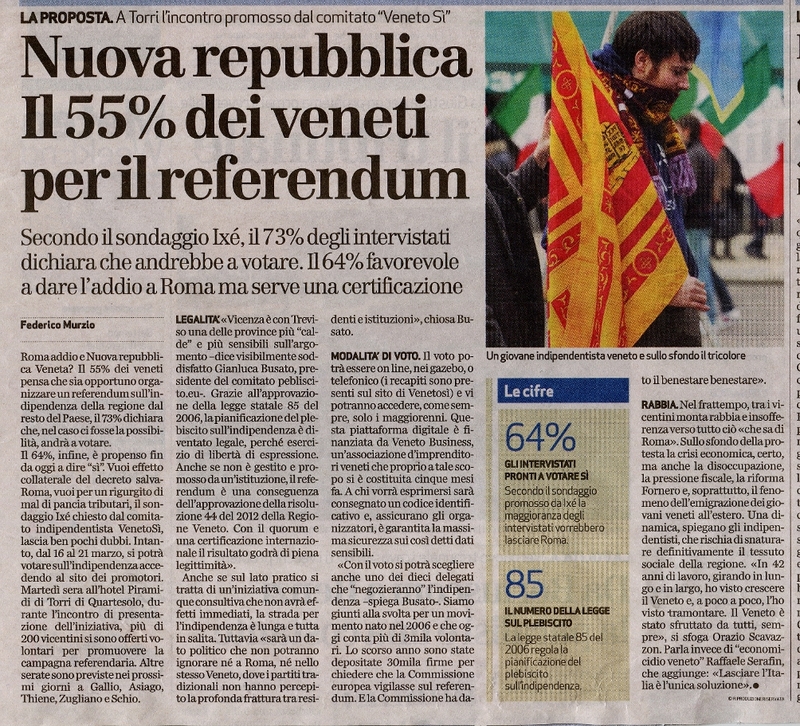 In case of a separatist victory, and the latest poll indicates that 64% will vote for secession from Italy, it is not clear if it is the newly elected delegation or the sitting regional government that has the right to declare independence. Of a different opinion is Gianluca Panto, president of Veneto Business, a consortium of Venetian industrialists that have financed Plebiscito.eu. Gianluca Panto, member of a prominent family in Treviso’s province, has stated that an independent Veneto must keep the Euro as Veneto’s economy is very integrated with Germany and the rest of Europe, and adding an independent currency to this process would just be bad for business. Veneto Business has privately financed the information campaign, including 4 million letters sent to all citizens with voting instructions.